The seasonal calendar includes live musical performances, art classes, community gatherings and open work space. In addition to group-based activities, local artists will enjoy a venue for demonstrating and selling their work. Every offering is screened to insure we give our community a broad, high-quality experience in a safe and supportive environment. The River House is a “family friendly” venue. Participatory Community Art Experiences -- we encourage art and music activities that directly involve our community members. Activities and events are very affordable and in many cases, free. We offer monthly sing-a-longs; community jam sessions, open mic nights; storytelling, read-alouds, community murals/quilts and an annual art celebration. Arts Education Program -- we provide art experiences for underserved populations in our community, particularly youth and elders. Affordable lessons provide opportunities for multi-generational teaching and learning. Traditional arts/crafts are “passed down” through skill-building classes taught by local masters. We offer art education through: after-school art classes and musical groups; home-school cooperative activities; traditional arts clubs; and master craftsman workshops. Local Artist Support and Exposure -- we nurture local artists by providing opportunities to teach their art for a fee in workshop or lesson format. We encourage live demonstrations of their craft to visitors. 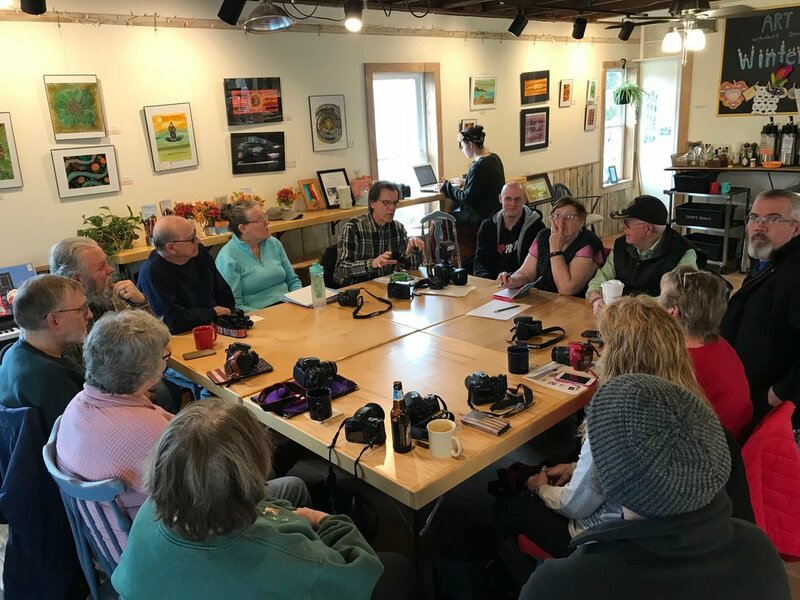 Equally important is emphasis on promoting their art to both local visitors and weekend tourists through on-going art displays during open hours, our Saturday ARTISAN MARKET and The River House website and publications. We offer artists the ability to make money by teaching lessons, conducting workshops, performing live and selling their art. Why Is A Community Arts Program Important? “Active participation in and enjoyment of the arts are fundamental to sustaining the quality of community life and to providing a fertile and creative environment for businesses to flourish. Education about the arts is essential to the full enjoyment of arts experiences by children and adults alike and to the complete education of citizens. Strong local arts organizations and a vibrant community of artists are essential for the arts to flourish in our everyday lives. All West Virginians regardless of their age, abilities, cultural heritage or geographic location deserve a full range of quality arts experiences.